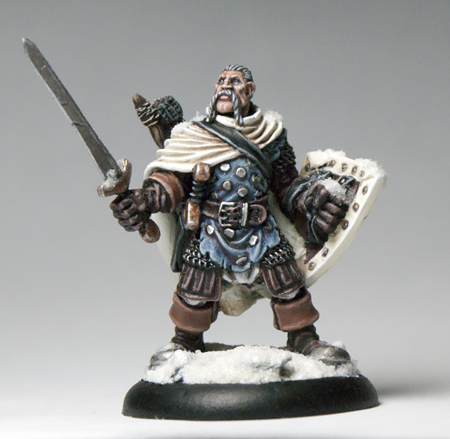 Hello everyone, it is time again for the next installment of my Reaper miniatures that I have been painting in between projects. This guy has been sitting on my desk for a month or two now and I have been very excited to work on him. 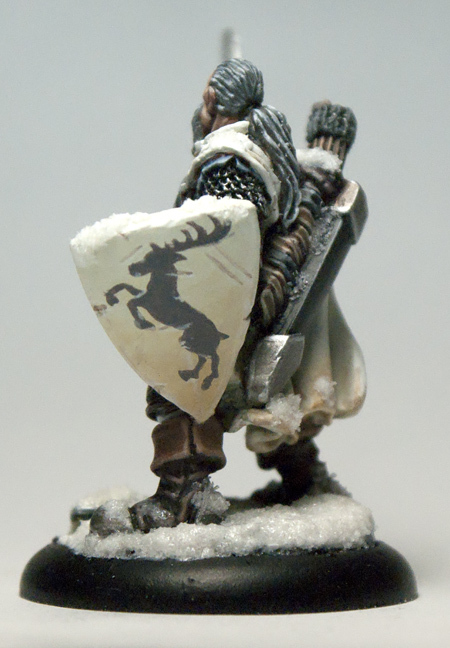 I knew I wanted to give him a white/cream cloak with a snow base for a long time. 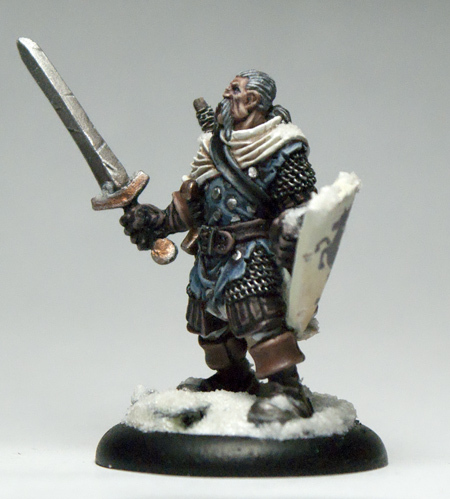 He was basically an experiment to see how smoothly I can paint white, which I think turned out quite successfully. 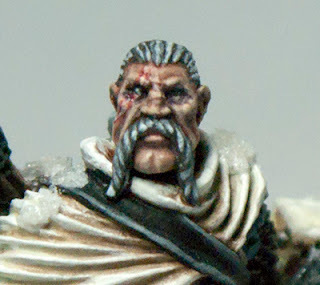 In part I have to thank the two new paints I bought just for him, P3's Menoth white base and highlight. I had seen these at my local store and love the off whiteness of them, they aren't quite Bleached Bone and not quite Skull White. They lay somewhere in between the two with a smoother, creamier finish then either of them. I'm fast becoming a fan of P3 paints, and if you are from America I would suggest grabbing a few, they are made locally (Privateer Press being based out of Seattle) so you can support your country while also getting your hobby on. For awhile I considered making his symbol a chicken, something about the Chicken Knight just appealed to me, but settled on a stag instead (long live house Baratheon). I also decided to give him a scar running down one side of his face, thought it made him look a little more rugged, although it is only painted on, not sculpted, so it doesn't have the full effect. This was also one of my first attempts at a snow base. Not sure how I like it, I think it turned out pretty nice, but a little bare. 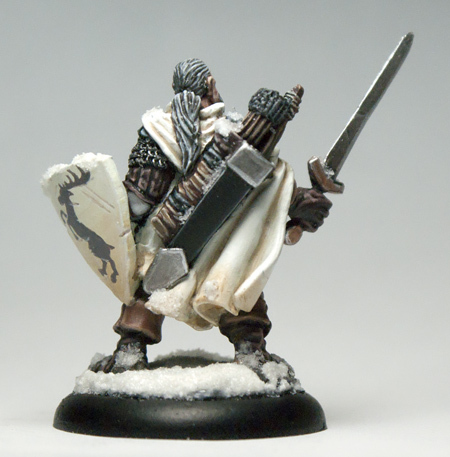 I am happy with clumps of snow scattered over is shoulders, shield, sword, quiver, etc. As always be sure to vote for him on CMoN here. Comments and crit welcome, until next time. Loving this model! Do you have a link to where I can get one? Also the snow effect and paint job is stella as always, well done on another great piece. 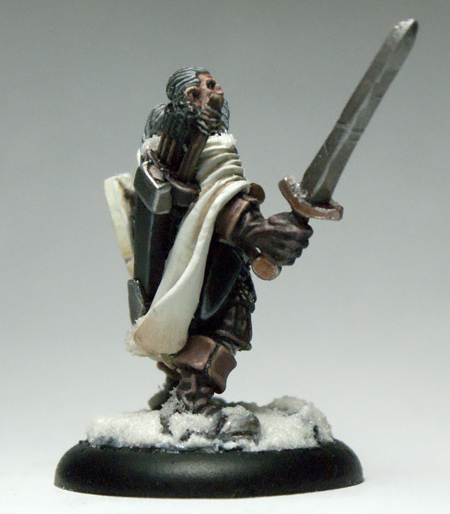 Its another Reaper mini from their Dark Heaven Legends line. Their store isn't very well organized but just keep clicking through the pages and you'll come across him eventually. Thanks for the compliments!